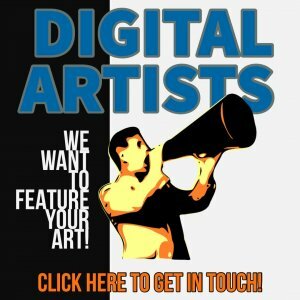 Twisting Pixels, the online digital art magazine for artists and art lovers! Mike has set himself up in the wilderness, on the fringes of society, where he can create his abstract doodles whilst nestled in the calmness of nature. Mario works with precise lines and bold blocks of colour to make his candid, slice-of-life digital paintings using traditional artistic techniques. Oola's style is surrealism. Her work weaves its way seamlessly in and out of abstraction, calming minimalism and, in contrast, playful collage. Susan uses her mobile phone and an iPad to blend self-portraits and her photos of nature to create soulful double-exposure style images. Sponsored links help us run the site!